For most legal purposes, corporations are distinct entities. In other words, corporations are treated (more or less) as if they were people. They’re allowed to own things, rent things, sue or be sued, and so on. The reasoning behind the concept of the corporation — a business legally distinct from its owners — was to allow the owners to not have to worry about being held personally liable for the debts of the business. Generally speaking, because the corporation is a separate entity, anybody wishing to bring a lawsuit against the business has to bring it against the corporation rather than against the owners personally. This protection is in fact one of the fundamental elements of our entire economy. For example, what are the odds that anybody would have invested in Chipotle or McDonald’s if they knew that they could be held personally liable if anybody were to bring a lawsuit against the company as a result of getting sick from one of their products? And who would have bought shares of General Motors if there was a chance they’d be held personally liable for accidents caused by faulty manufacturing? If corporations didn’t offer the protection they do, hardly anybody would invest in new companies. Planning on Outside Investment? Plan on Incorporating. Another reason that investors are more likely to invest in a corporation is that shares in a corporation can usually be sold more easily than ownership interests in any other type of business. Investors like knowing that if they want to get out, they can. One slight drawback to forming a corporation is that there are a few ongoing legal requirements that will take up your time. For example, whenever the directors of a corporation make a major decision, it must be recorded in a document known as a “resolution.” A resolution doesn’t have to be anything fancy or complicated. Just be aware that forming a corporation means you’re going to be in for a little more paperwork. Also, most states require an annual meeting of the directors and shareholders of the corporation, as well as a record of what was discussed at the meeting. Of course, if you’re the only owner, this just means preparing one more document every year, as the “meeting” with yourself probably doesn’t have to be very long. As with an LLC, it’s possible for the owners of a corporation to be liable as a result of torts they personally commit (e.g, negligence, fraud, etc. ), even if the tort was performed in the service of the corporation. Whenever you read anything about the limited liability provided by the corporate form, you’re likely to encounter the term “piercing the corporate veil.” This term refers to the fact that, under certain circumstances, a court may decide that a corporation is not materially separate from its owners and that the plaintiff should be allowed to come after the owners for their personal assets. Anything else that would lead a court to believe that the corporation is merely a formality, and is not materially distinct from its owners. Generally speaking, the owners of a corporation will not be held personally liable in the case of a lawsuit against the corporation. 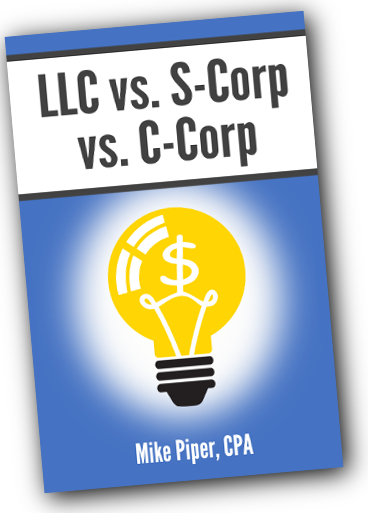 If you plan on attracting outside investors, you may have to form a C-corporation. It’s possible for shareholders of a corporation to be held personally liable for torts they commit in the service of the corporation. If a court decides that a corporation is not in fact distinct from its owners, the court may decide to “pierce the corporate veil,” thereby allowing a plaintiff to come after the involved shareholders’ personal assets. Important steps toward preventing a court from piercing the corporate veil include: keeping your personal and corporate finances separate, keeping excellent records, following corporate formalities, and providing the corporation with sufficient funding.